Who was the future GM? 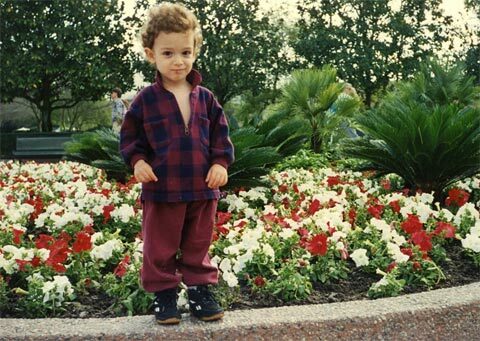 Fabiano Caruana, Italy's top grandmaster! 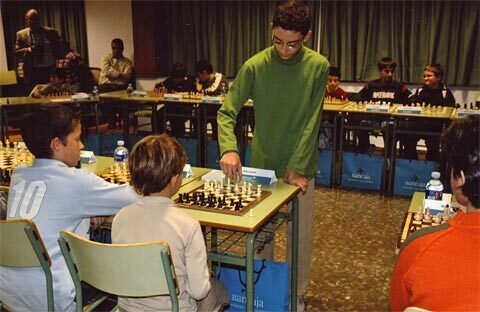 10/18/2007 – He was born in Miami, Florida, in 1992, went to school in Brooklyn, played in Queens in the Susan Polgar Club, trained with Pal Benko, defeated a GM at the age of ten, moved to Spain, then to Hungary, and made his GM norms at the age of 14 years. 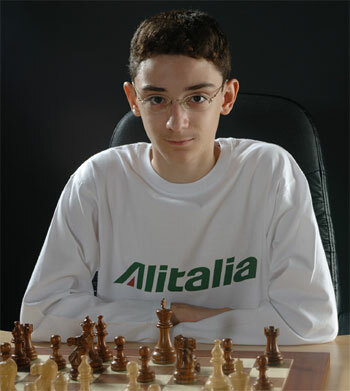 Today, at 15, he is the strongest player in Italy and the world's youngest grandmaster. Pictorial answer to our quiz. The answer to our quiz last week – the one with the sepia picture of a child destined to become a grandmaster and the strongest player of his country – was not Yasser Seirawan, Nick de Firmian, Boris Gelfand, Alexei Shirov, Nigel Short or one of the dozen or so other names suggested by our readers. 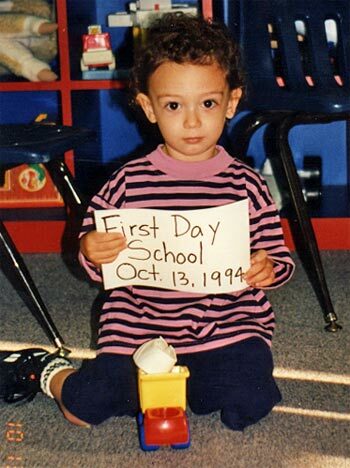 The correct answer is Fabiano Caruana, currently fifteen years old, the youngest grandmaster in the world and strongest player in Italy, the country of his parents and the one he represents. Astonishingly in spite of our carefully crafted misleading clues (all perfectly true, of course) almost 50% of our readers got it right. Many recognised the eyes, many remembered a recent ChessBase article and interview. Some used the board position we provided to search for the original gamescore and identify the player (yes, Virginia, there are such people). 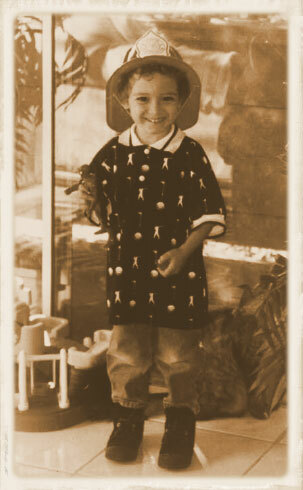 And some used simple logical deduction, like Robert Bernard of Glen Ridge, NJ USA, who wrote: "It was a cute idea to put the sepia tone on the picture of Fabiano Caruana, but the fact that he's wearing an obviously plastic hat, gives away the the photograph is really not that old!" You simply can't fool all of the people all of the time. 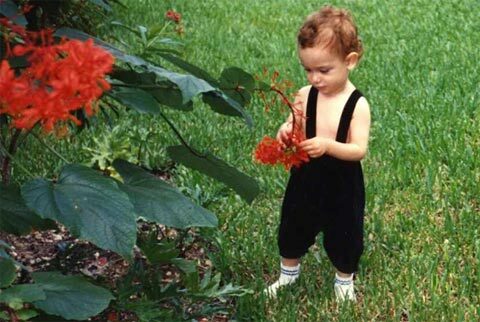 Fabiano Caruana was born in Miami, Florida on the 30th of July, 1992, and is solely of Italian ancestry, since all eight of his great grandparents originate from Italy. 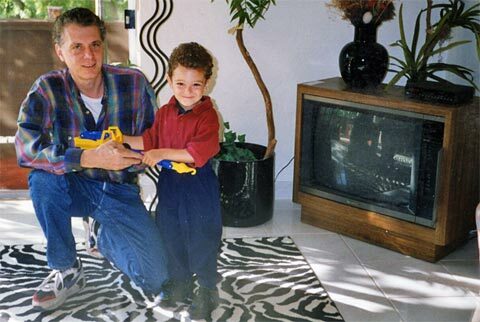 Fabiano also has dual citizenship – currently he holds passports from both the United States and Italy. 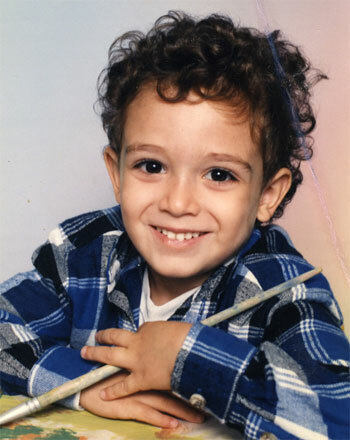 By the age of twelve Fabiano was a FIDE Master, having won two gold medals and one silver medal at the Pan-American Youth Championships, and also multiple national scholastic championships. He also set the record – at the age of ten – of the youngest ever American to defeat a grandmaster in a USCF sanctioned tournament, surpassing the record previously held by GM Hikaru Nakamura. Having decided to pursue chess professionally, it was time to move forward, and Europe was the place to be. So, in November of 2004 the family moved from Brooklyn to Madrid. This ended his early chess years in the United States. Madrid was selected solely because IM Boris Zlotnik lived there. Fabiano trained with Boris from November of 2004 to Marrch of 2007, and Boris' training and constant detailed attention helped him tremendously. His Elo increased from 2219 to 2513, and he earned an IM title along with his first GM norm. 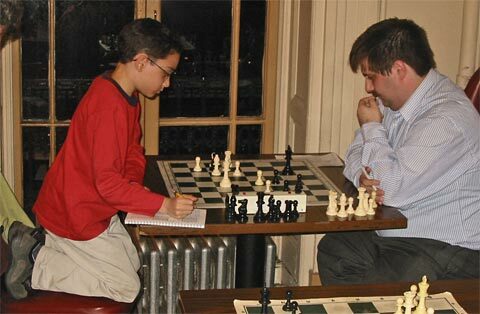 In April of 2007, it was time to again move forward, and the family moved to Budapest to start training with GM Alex Chernin. Fabiano's second GM norm came in that same month (April), while playing at the First Saturday tournament and sleeping on the floor of an empty flat in the Buda hills. In July 2008 he completed his third GM norm, setting the record as the youngest ever American and Italian to earn the GM title, again surpassing the record set by GM Hikaru Nakamura. 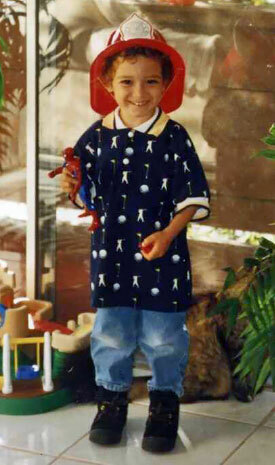 Regarding federations: from age five to age 13 Fabiano played for the United States. But in October of 2005 he changed his FIDE affiliation to Italy. This was a natural change since he lived in Europe and intended to stay there. In the foreseeable future the family intends to move to Italy. Fabiano's relationship with the Italian Chess federation continues to be excellent. He is now the highest ranked player in Italy, and the Italian federation supports his efforts 100%. But, he says, "although my FIDE affiliation is with Italy, I am still a member of the United States Chess Federation, and I greatly value my good relationship with the United States Chess Federation." "My situation with regard to choice of federations is somewhat unique," he continues. "Due to my dual citizenship, I can play for Italy or the United States, and due to my residency, I can play for Hungary. It's nice to have choices." However, his first priority is to benefit Italian chess by raising its visibility in Italy, such that the Italian National Olympic Committee (CONI) takes notice and upgrades its official status from an "Associate Sport" to a "National Sport" such as football, tennis, etc. This change would provide for full financial backing of chess at the national level. Regarding sponsorship, Fabiano says that his sponsorship in the United States understandably ended when I moved to Europe. "My sponsor will always be one of the most memorable people in my life," he adds. Now that he is a highly recognizable young GM playing for Italy he can anticipate that an Italian (hopefully corporate) sponsor will come forward. 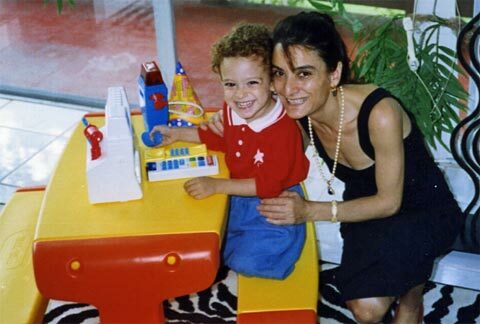 Fabiano does not attend school, but studies at home, and his academics, although not formal, are very solid. He enjoys reading, writing, movies, and ping pong. For physical conditioning he runs ten kilometers every day, when not playing in a chess tournament. For the coming year of 2008 Fabiano's preliminary tournament plans include Corus, the European Individual Championship and the Mitropa Cup. "I especially look forward to the 2008 Olympiad in Dresden," he says.